GeekOut South-West Geek Proud, GeekOut. Did anyone get a head-count on the day? I think we surpassed thirty which is always a pretty good month, the pre-meet was a grand outdoorsy affair, as befits the season, although gaming wasn’t ideal given the furniture. But so many of you showed up, and so many of you put the effort into the steampunk theme of the day. Top hats, waistcoats, the finest of attire, and a couple of artistic contributions to the inventors fair. Fun, laughter, games, and general geekery, and so much to do in the long gap between now and August’s Shrewsbury Event. The art gallery and cafe in the open courtyard around St Alkmonds is a bit too low on the inside to accommodate taller nerds such as myself and Murray, and the furniture outside is not ideal for games that frequently incorporate a host of small pieces, but cake, coffee, and conversation are the order of business in the early hours of a good GeekOut. A smattering of new faces joined a host of old hands and newer regulars. We have an ever growing community that is becoming harder and harder for whom to find venues, therefore, next month, we are going for a meal. Gather around! Come one, come all! Onwards to the main event! Shame I never got a picture of myself in the judging accoutrements, apparently in the right combination of hat and waistcoat I can really pull off the “travelling snake-oil salesman” look, all I needed was a horse drawn cart and an assistant who looked even shadier than I did. You have no idea how glad I am that Monty’s Tower now sells Ting, it may be the single greatest soft drink in circulation, and I care not who disagrees. I restricted myself to one can before switching to coffee, which is lighter on the sugar and is better at ushering me through a busy day of geek-wrangling and yelling tormenting quiz questions. I even managed to squeeze a few games in while quietly working on a new campaign I’ll be bringing to a table near you soon. A minor disaster was averted with a few items left behind, so let me take this moment to reassert a basic policy of GeekOut, while we will make every effort to help, you are ultimately responsible for your own property. Remember to take all luggage from the overhead compartment before disembarking. Let us take time to ingest this knowledge before something really bad happens. What? What does it say? Two competitions? But that means there were two prizes! Well actually one of the bigger prizes from last month’s gamer’s gauntlet rolled over, allowing another to have a crack at the grandest prize that ever dropped into my lap. Congratulations Cal on your victory, your whirling flower of gears required very little explanation, although next time I might have to insist you have a sales pitch and a twirly moustache ready. Oh, and… “congratulations” on winning the quiz go to Albert, Ben, and Charlotte. I may have over-cooked the quiz as no one achieved even a third of the potential points, but you three need to be split up, you’re getting far too good at this malarkey. You guys have won an hour each in the House of Jumble and Comic Vault Arcade, enjoy at your leisure, and feel free to invite me when you go, still haven’t had the pleasure. August’s GeekOut Shrewsbury is a long way away, thanks to the need to bring this one forward by a week. Keep an eye on Facebook and Meetup for the details on Tengen Toppa GeekOut Lagann, August 30th, and the impending Build-A-Mini-Mech competition! Many of you I know are already planning on cosplaying, I both advocate, and encourage this behaviour. This entry was posted on July 22, 2018 by terraphi. It was filed under Events, GeekOut Meetups and was tagged with board games, Comic Vault, Event, GeekOut Meetups, GeekOut Shrewsbury, Great Scott, House of Jumble, inventors fair, Montgomery's Tower, prize, shrewsbury, Steampunk, Steampunk'd, The Bear Steps Cafe, Video Games. Give us your e-mail address and all the latest blog posts will go direct to your e-mail! 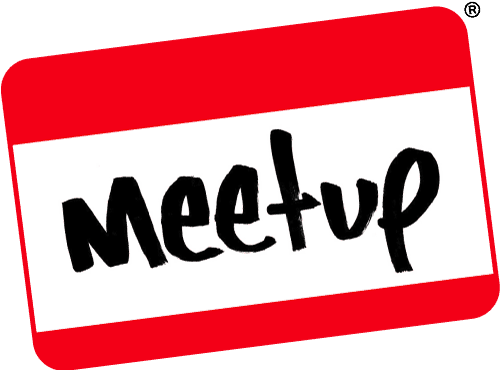 Follow the Geeks - Come meetup with us!